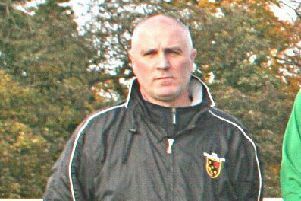 Mark McDonnell says he is quitting his role as Euxton Villa manager after 26 years but that he is not leaving the club as he shifts focus to off-the-field matters. McDonnell has been in charge of Villa’s first team since 1993 and has since seen a club that was struggling to get 11 players for a game, go on to have 40 junior sides in addition to the senior set-up. The West Lancashire League Premier Division side have three games left and Saturday’s clash against Thornton Cleveleys will be McDonnell’s last home game as first-team manager. But passing the baton on to player-coach Matt Atherton does not mean he will be leaving the club. McDonnell instead says he will be taking on a role behind the scenes in a yet-untitled general manager-tyle role. He said: “I spoke to the club at the start of the season. I’d had it in mind for a short while. “After such a long time I felt it might be time for a fresh look at things. If I’m being honest I needed a bit of breather. “I do everything from running the team to sponsors, I’m a huge part of the club. “But I’m not actually leaving the club. “I’m definitely staying on board in some kind of general manager-type role. I don’t want to give it a title yet. “It is a long time 26 years. My last three games coming up. I’ve had a lot of messages. It is a massively difficult decision. “People have tried to talk me round. I’ve questioned whether I’m making the right decision but I definitely think I am. he is hoping to build a pathway for the juniors to the first team and also improve the club commercially off the field. He said: “I will be looking at how we can maybe pull together, work with the Under-18s and Under-16s sides a bit closer and build a pathway to the senior sides but also I want to look a bit more on the commercial side. “We’ve got a big profile but maybe we want to look at sponsorship, a bit more commercial and raising the club’s profile with businesses and do more on the fundraising side. “The committee is an ageing committee now I think one or two are thinking of stepping down, and like any club, new ideas on the committee side to try and drive it forward. “So I will be looking at other roles more off-the-field but I will be there to help the new management team if they have any issues.